The pool is a wonderful fitness tool whether you are a new swimmer or an elite athlete. With indoor pools, aquatic classes, and swim lessons/clubs, American Family Fitness has something to attract everyone. Come swim with us! Swimming is great exercise no matter the level of athlete. With indoor pools that allow you to swim even when the weather turns cold, aquatic classes to assist you in strengthening and improving endurance with limited joint stress, and swim lessons/clubs that help you learn the basics or master what you already know, American Family Fitness in Short Pump has something for everyone. 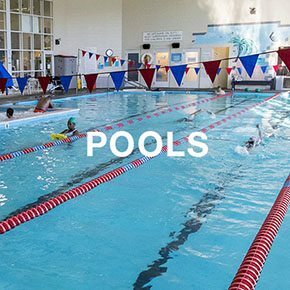 Our Short Pump gym offers indoor pools for year-round swimming. There's a 25-yard salt water lap pool, a teaching pool, and a kids' pool with a pirate ship and splash pad. With aquatic classes, swimming lessons, and a swim club, you'll have a splashing good time at American Family Fitness. Do you enjoy exercising in the refreshing water? At our Short Pump health club, group aquatic classes help you strengthen and tone muscles, increase endurance, and burn calories. The buoyancy of the water protects joints from stress. 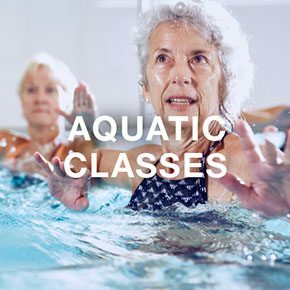 With classes like Cardio Circuit, Splash Dance, and Aqua Zen, every age and fitness level can jump into aquatic fitness. 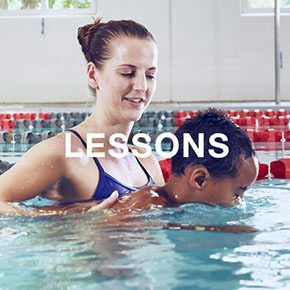 Swim lessons at our Short Pump gym are taught using American Red Cross "Learn to Swim Guidelines", and lessons are available as private, semi-private, and group. The swim club is open to members up to the age of 18, and the master swim offers lap swimming with a coach.